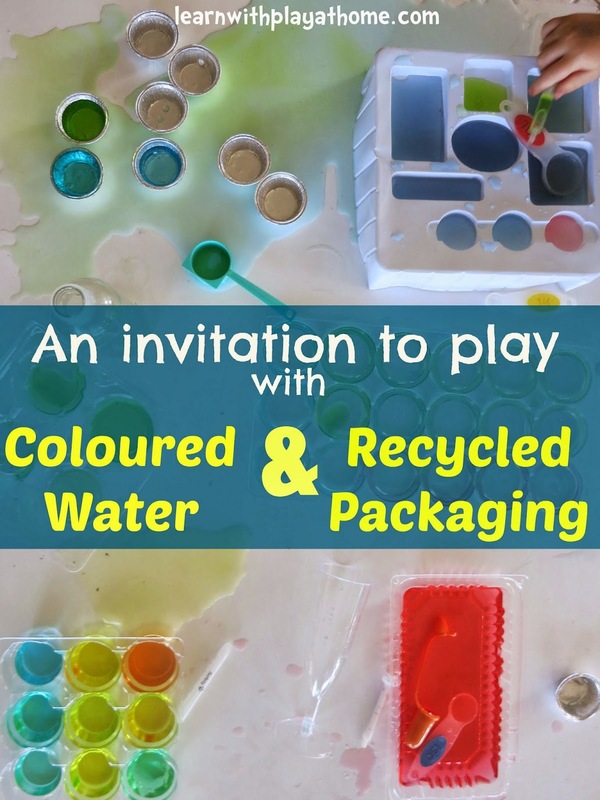 Here is a fun sensory Invitation to Play with coloured water and recycled packaging that encourages skills such as fine-motor, pouring, transferring and scooping whilst investigating size, colours, colour mixing, depth, capacity, speed and more. 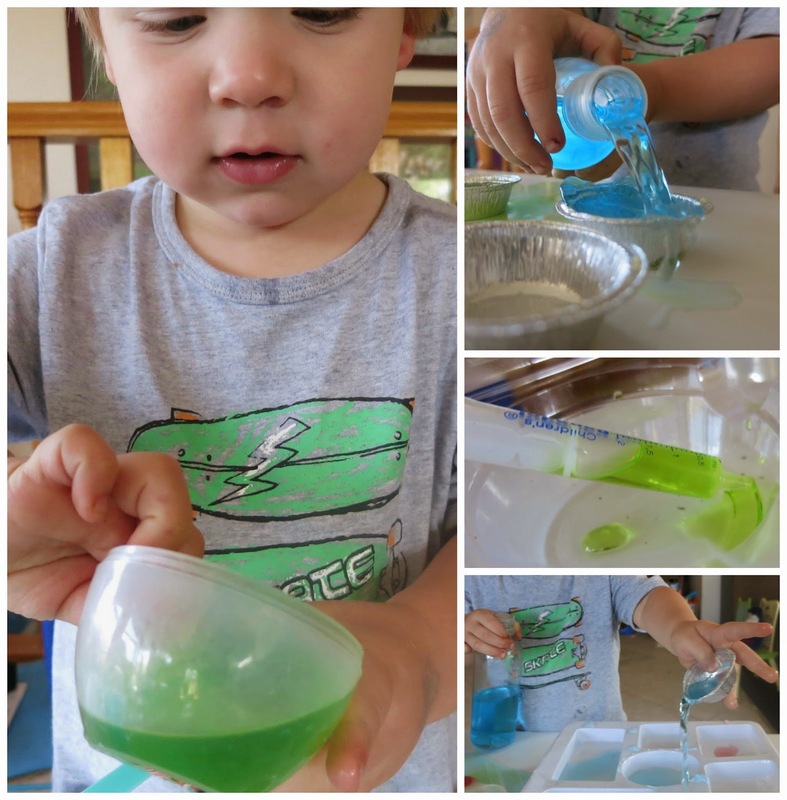 We had so much fun with our inside water play that I wanted to create a similar invitation to play but this time with a focus on identifying colours. Using a range of colours allowed us to investigate what would happen when different colours were combined with one another. This style of open-ended investigation (play!) 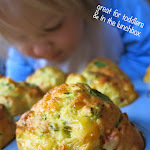 is perfect for toddlers through to school age children. As with most of our inside water play, we only used about 2-3 cups of water in total. I lightly coloured the water with a couple of drops of food colouring so that it was slightly more visible but wouldn't stain or leave marks wherever little droplets landed. I started him off with 4 different colours of water (red, blue, purple and green) and added some yellow water down the track. You can start with whichever colours you like, but primary colours (red, yellow and blue) are particularly useful for learning about colour mixing. I collected a range of plastic packaging from our recycle bin that had multiple compartments. This was to encourage things like one-to-one correspondence (as he individually filled each gap one at a time), counting (the different areas) and to make it more interesting and challenging to work with. Gather your supplies from around the house and lay out on a small child-sized table. On the floor you should use some old towels to catch the water that will inevitably spill off the table. I do not recommend using plastic sheeting on the floor as it won't absorb the water spills and will in turn make the floor around the table slippery. Recycled plastic lids, containers, glasses etc. I tried to include different sizes, depths and shapes that would provide different challenges to work with. He was certainly keen to jump in! I loved watching him "work" (play!) with such concentration and purpose. Different tools provided different challenges for little fingers. He was keen to try all the ways of transferring the water from one place to another. A plastic bottle provided him with multiple opportunities to practice his pouring skills. Getting control of things like speed and the angles that you need to put various vessels on is something that comes with practice. And practice he sure did! The best thing about having all the different colours and containers with multiple compartments was the ability to change the water colour to so many different colours and shades. Each new drop of colour on top of another colour produced something different and I could see older children really enjoying the challenge of making a different colour in each compartment. He even managed to fit some floating and sinking in too. This activity kept him busy for around 30-45mins and I'm sure had I left it out, he would have continued returning to it throughout the day. The pack-up was as quick and easy as the set-up, with the towels underneath making quick work to dry any remaining water spills. 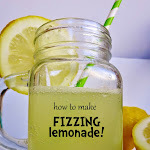 - Simplify this activity by providing a few less cups and containers and leaving out items such as the pipette and little syringe as they need well practiced fine motor skills. You could also stick to a couple of primary colours if concentrating on colours and colour mixing with really young children. Even if your child doesn't have the require fine-motor skills for the little tools, you can still provide them so that they have a chance to play around with them. 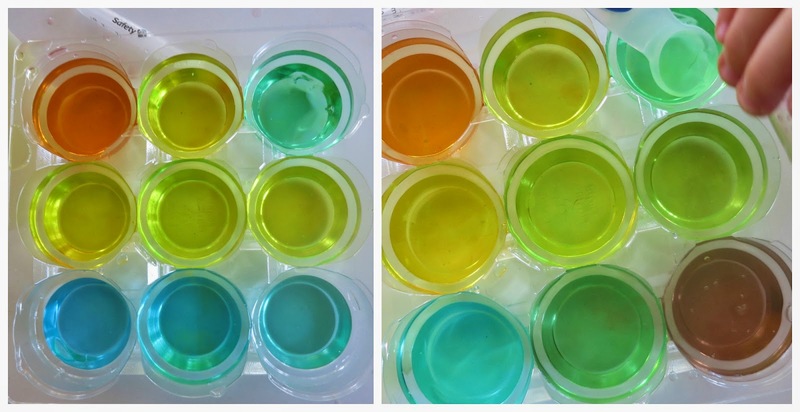 Challenging children to fill a divided tray with a different colour/shade of water in each compartment, starting with only the 3 primary colours. How many different colours can they make? Recording (writing down) the different colour combinations they find that make new colours. Investigating how the same amount of water looks like different amounts depending on the size and shape of the container it's tipped into. 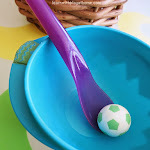 - Mix it up with a variety of different types of containers and measuring cups or by substituting water with other transferable materials like coloured rice or little beads. - Use descriptive language that goes with this experience to help develop your child's vocabulary. Eg "pour, tip, soak, wet, dry, squeeze, drip, splash, colours" etc. What a fabulous activity. 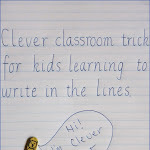 Children love water and this is a great way to tap into that whilst teaching them other things. So easy to set up too! Love that.